[http://www. cutwireshot. 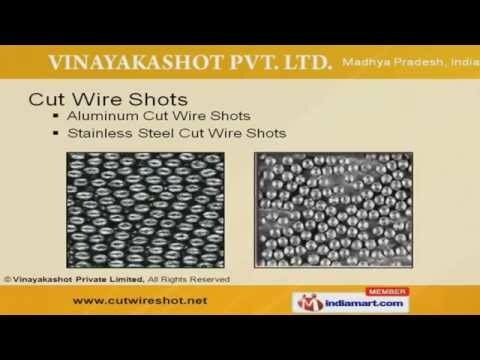 ne]Welcome to Vinayakashot Private LimitedManufacturer & Exporter of Cut Wire Shots, Precast & Readymade Furnishing ItemsThe company was established in 2006 at Indore. We cater to Industrial, Commercial, Household & othersectors across Indian Subcontinent. We are well known in the market for our international quality standards, maximum client satisfaction, excellent packaging facility & timely delivery schedule. Longer Functional Life, Easy Installation, Cost Effective prices & Durability are some of our quality testparameters. Our product list includes Cut Wire Shots, Precast Manufacturing & Readymade Furnishing Items. We provide premium grade Aluminum & Stainless Steel Cut Wire Shots at market leading prices. Our Precast Manufacturing Items like Pavers, Kerbstones & Ferroconcrete Switchboard Rooms are aclass apart. Along with that we offer Readymade Furnishing Items that are widely acclaimed in the market. Water Fountains, Decorative Pot for Plants & Boundary Wall are some of our best selling products.